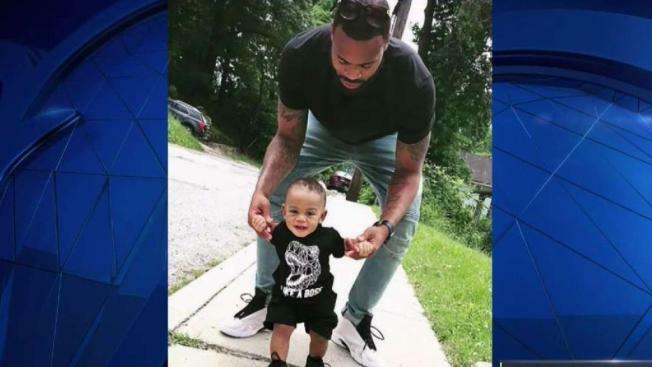 Prince George's County police arrested a man in the death of a promising basketball player who was shot and killed in broad daylight. Lamont Adair Jr., 24, was fatally shot on Aug. 8 as he walked to a training session in Seat Pleasant, Maryland. Police Chief Hank Stawinski announced Friday afternoon that an arrest had been made in the case. Franklin Scott, 27, of Capitol Heights, is charged with first- and second-degree murder. Scott targeted Adair because of a personal issue between them, police said. "I hope and pray some modest amount of peace for this family who I know has been deeply impacted by this," Stawinski said. Adair was set to leave next month for China, where the 6-foot-7-inch athlete was going to play. He was walking in the 6600 block of Grieg Street when several shots rang out. Scott allegedly shot Adair multiple times from a car then got out of the car and ran over to him to shoot him several more times, police said. When officers arrived, they found Adair suffering from gunshot wounds. A bullet hole was also found in a car. Scott was identified as a suspect with the help of surveillance video, and his cellphone records placed him at the scene, police said. Adair, a father-of-one, lived nearby with his mother and was well-known in the neighborhood. Police haven't detailed a possible motive, and heartbroken family members couldn't fathom who would attack Adair. "I feel pain. I got a void in my heart because my son is not here," Adair's mother, Darlene Rainy, said. "This is ruthless." Adair's family says he leaves behind an 11-month-old child.